Someone once told me at a business college seminar, “If you want to make a living at what you love, first, find what you love and do a lot of it”. I am learning that that is only the beginning of what is needed to be successful. Certainly there is a Law of Attraction element to that advice. Doing a lot of something will get you noticed eventually. And getting noticed will get you admirers, fans and sales. For me, the hard part was discovering what I loved. I know that may sound crazy, but it’s true. And I bet a lot of other people go through this too. In this rushed age of stress, job necessity and distractions all around us, we really are pulled off-course more than we care to admit. To find what you love, sit back, take a calm, quiet moment and look back at your life. What were you alway pulled back to do? What makes you happy? What are you naturally good at? These give you the answers. I was always creative, so I knew for a start that the answer lay in that direction. After trying lots of creative things, I hit upon something people saw me do that I loved and loved it as well and told me so. Others input and reactions can tell you much about yourself if you sit still and listen to it. Doing a lot of what we love (once we find out what it is) also sharpens our skills at what we do. One isn’t born the greatest musician, doctor, test pilot or beader of their generation. We all have to work at it. And when our skills get better, that also gets us noticed. Many people do a lot of something and get quickly and easily bored with it. That is a warning sign it is not what they love – what they were born to do. So why is it that so many people love what they are doing and are not successful? Maybe perhaps they are not passionate about what they do. Passion fuels fire. Fire never goes unnoticed. Even if it is just a little spark at first, if it is fueled by what we do and our passion for something grows, eventually it will explode onto the scene and then no one will be able to ignore it! Sound familiar? How often do we see companies on the internet or in real life that suddenly made it big? It never happens that way. They worked to get to where they were and it took time and effort and of course, passion. Passion and fire have another element in common that is vital to success at doing what you love – sacrifice. Fire eats up what is around it in order to make it grow. Passion means you will start doing less of something else (even if it is nothing) to make more time to do what you love and want to do. Also sound familiar? How many marriages are torn apart because one spouse works too much, sacrificing their quality time for money? It’s an imbalanced way of living, but a good example of how powerful passion is and can be and how it can take you places you long for and never even dreamed of going – for good or bad. 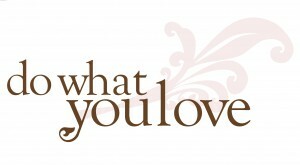 So, in closing, 1. discover what you love, 2. do a lot of it, and 3. be passionate at it. If you like this topic and want me to delve further, please leave a comment. Together we can help you find your passion. Don’t let it take 50 years to find, like I did.